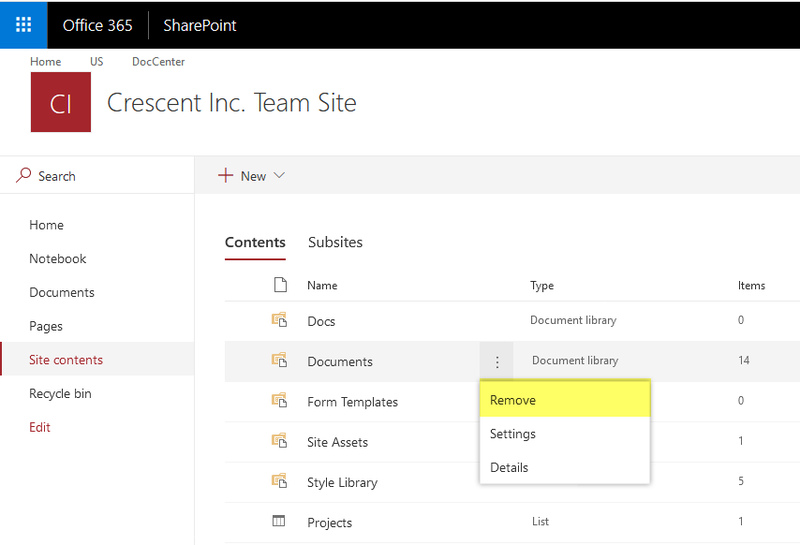 How to delete document library in SharePoint Online? Under Permissions and Management, click on "Delete this document library" link. Confirm the prompt "This document library will be removed and all its files will be deleted. Are you sure you want to send this document library to the site Recycle Bin?" with "Yes" once. This sends the document library to the recycle bin. 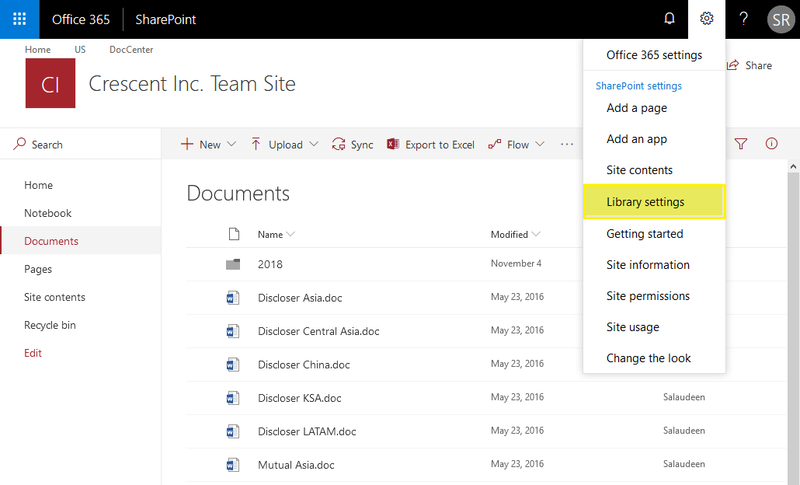 You can also remove a document library in SharePoint Online from "Site Contents" page. Simply hover over the document library, Click on "Remove" from the context menu to delete the document library. Lets use PowerShell to delete a document library in SharePoint Online. Write-Host -f Green "Document Library Deleted Successfully!" Please note, the "Recycle()" method deletes and sends the document library to the recycle bin and the "DeleteObject()" method permanently deletes the document library from SharePoint Online. 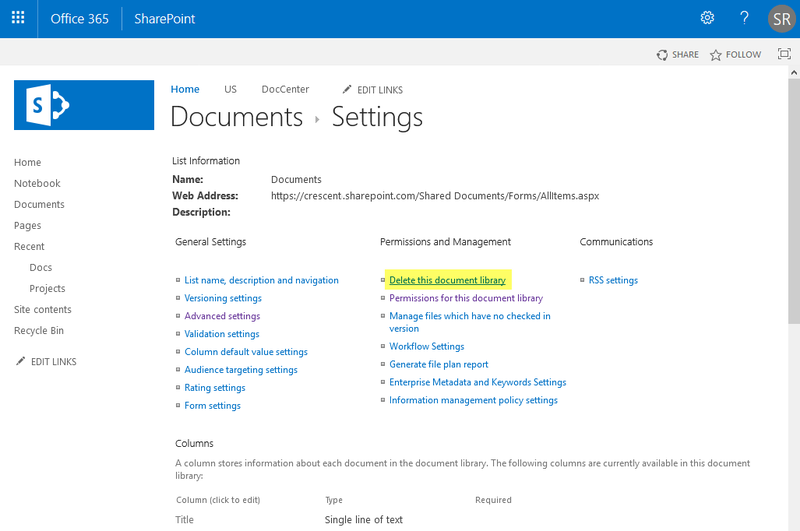 Unable to delete document library in SharePoint Online? Getting "This list cannot be deleted." error message when trying to delete a document library or not getting "Delete this document library" link in document library settings? Well, to delete this sort of document libraries, you should set: AllowDeletion property to $True first and then delete the document library. How to Get SharePoint Farm Account? SharePoint Online: How to Save Site as Template?